Their trying to canonise Vatican 2. But I thought the Catholic Church was indefectible and infallible? I thought that was dogma? I also thought the Catholic Church was accompanied by Christ and protected from teaching error, or anything harmful to the salvation of souls, by the Holy Spirit? Oh well! I suppose things change with time according to circumstances and advances in our scientific knowledge. We know much more now than they did in the old days! Still - it worries me a bit. You sure this masonic sodomite was a true Pope? I wouldn't have thought Our Lord would have a minion of satan as His Vicar on Earth! Funny, Our Lord can't change - He is immutable. I would have thought His Church couldn't be able to change either. You sure this guy's church is the Catholic Church - I mean the same one I grew up in? Dear Peter Lamb, Yes, what you thought is TRUE. I’m getting so tired of seeing the guys, who claim to defend Christ’s Church trying to tear down everything we’ve believed for their own selfish reasons. They don’t want to have been wrong or tricked or fooled so they become the biggest liars of them all. I’ve run out of empathy for them, they’re joining the bad guys in ripping apart the Church is what they’re doing, terrible. There is something more with this particular case. Of course the enemies of the Church are trying to canonize the V2-revolution as whole whit this last peace of ultramodernist. But, I am afraid, there is more! Just imagine; if the worst accusations of him to be a sodomite are true, then there must be a certain number of the same kind, of the st gallen, lavender, hollywood, communist, etc. cohorts, who have for sure enough proofs and evidences about that. then they are doing THIS exactly for the exact purpose to let it accidentally (in fact deliberately!) be discovered. But only after their proclaiming of his "sainthood". Because this is a thing what such types as cocopuff, rosica, paglia, chupich, tobin, martin, etc... they sooo badly need! So that they can say then: "Don't you see, you rigid faithful Catholics?! Not only some pope, but there are even the Saints are sodomites! Or rather, they wil say then: "See you now that sodomites in fact are the saints!" Keep in mind those, not coincidentally spoken, words by FP: "Who am I to judge?" ... and ... "You are born that way, and God loves you so." So, we will have then the very bad guys who thinks that all of them will go to heaven, and good faithful people who will be seen by them as rigid haters who deserves nothing better than hell. And we must not be fooled, they will make a hell on earth for us all. When Bp. Scheider was talking about "There is already some strange schism in the Church", the key-word in this saying is "strange"! Because the enemies of the Church didn't go away, but they stay and operate from inside. They are keeping the clothes, names, titles, ranks, buildings and of course the money of the Catholic Church, and they are using all of that that against the Church! They are, as such who they really are- the enemies, invisible for all those indifferent and lukewarm ones who don't want to see. That is in fact anti-Church, the ape-church which has risen nowhere else than in the city on seven hills. That's why this schism is "strange". And yes, we can say that this time this "schism" is indeed, totally and completely odd! Especially because it's for many, if not invisible, then for sure surreal and just unbelievable. "For many will come in my name saying, I am Christ: and they will seduce many." (Matthew 24,5) - Remember that those who will seduce many will not come in the name of allah or budha, or some other pagan god, but as our Lord says in His own name! Which means those who just seems to be the man who comes in His name. Which means that the seducers and deceivers already are in our own ranks! And they are many of them. The schism we are witnessing is a schism within the comciliar church, not the Catholic Church. It is between conservative and progressive modernists. It is not between Catholics. The modernists broke off from the True Church back at V2. Stop making Vigano and Burke your heroes. They have no interest in Traditional Catholicism. They only wish to preserve the JP2 version of the Ecumenical NuChurch. I think most regular Voxites are familiar with the work of Fr. Luigi Villa. Here is a short expose from Steven Speray on the subject of paul the sick's saintliness. Tom A, I agree with you. I've stopped looking for the deliverer. It's none of these men. Everybody has their own agenda, and while I would say Abp. Vigano is the best we've got, we're way short of having anyone who can positively impact this mass apostasy. They church may well disappear from our sight. This is why it was wondered, when God returns, will he find any faith on earth? We wait on the Lord. Wow anonymous at 409pm, I think you're exactly right! Men can avail little. But Our Lady, why that’s another story. Do you all doubt that the triumph of the Immaculate Heart is coming? The Church is not only infallible. She is indefectible. Whether Francis is a real however is a serious question. At any rate he certainly hates Our Lady as his recent attack a supposed exegesis on the meaning of “full of grace” indicates. P. S. Clearly the very notion of the canonization of Paul VI is laughable. That’s the sort of thing antipopes do. Especially when they are birds of a feather. Anonymous at 4:09: You have nailed it! Anyone still doubts the St. Francis of Assisi's prophecy that some time after he was dead, there'd be a destroyer pope? The apostate Francis fits the description to a T. Also, cardinal Manning's writing on the Antichrist which makes sense too, that once Christ lifts His hands from the Church, chaos can happen because He permits it to happen for a greater good that only He knows because He is God. Jorge Bergoglio is a clown, so were his predecessors and the cabal of V2 mould. The possibility of the see of Peter being vacant is not fictitious. Hoping for Second Vatican Council adherents to reform the Church is a joke. It's just a matter of how bad a deviation from Catholic doctrine and morality. They just can't! In the future the glorious Bride of Christ will anathematise the heretical usurpers. I will go one step further, dig out the usurpers' remains and throw them out of the Eternal City and burn them in a bonfire, pagan-style. Dear Mr. Lamb. Where and when did the Catholic Church teach that Canonisations are infallible? I wrote that anonymous 1:21 post yesterday. I was so disturbed by the widely well received article on 1P5 claiming canonizations aren’t infallible that I was super unclear & vague. This statement was not aimed at you Vox, I think you know that but just to be clear. It was aimed at Steve Skojec who in defending the faith is throwing the whole thing out the window. Popes are irrelevant garbage, Magisterial teachings garbage, Saints garbage, Catechism garbage, they’re going to change that NO worship service and then that will be garbage. I’d like to know what the heck he is trying to defend at this point. Why don’t we defend our Church from these fake popes and prelates instead of destroying Her. They’re acting like that woman who would have a baby cut in half rather than admit he’s not her’s. These guys have a different church, don’t destroy our Church established by Christ Himself because of their deceit. And this error could lead swiftly to sin or heresy, Paul VI not a Saint, that’s good and true. It is not good to deny the infallibility of canonizations, this is Church teaching. I hope these guys rethink this approach, I believe they’re good Catholics. If we can question Francis and deny that Paul 6 is a saint based on our own evaluation, then I am sure we can also evalute the recent papal conclaves and come deny the stated results. If canonizations can be doubted, then surely papal elections can easily be disputed. So instead of simply rejecting Francis' canonizations and encyclicals, lets reject his election too. For the honour of the Blessed Trinity, the exaltation of the Catholic faith and the increase of the Christian life, by the authority of our Lord Jesus Christ, and of the Holy Apostles Peter and Paul, and our own, after due deliberation and frequent prayer for divine assistance, and having sought the counsel of many of our brother Bishops, we declare and define Blessed Paul VI,...and we enroll them among the Saints, decreeing that they are to be venerated as such by the whole Church. In the name of the Father, and of the Son, and of the Holy Spirit. That pretty much commands the faithful to assent. Not much wiggle room there to apply any personal judgment. Dear ABS, Canonizations are infallible. Almighty God protected His true Church from the possibility of erring in the canonization of saints, because to be in error about who is and isn’t a model of the Faith, deserving of veneration, and able to intercede for us in Heaven would be disastrous to souls and undermine the very purpose for which the Church was established, which is to lead people to Heaven. ...the end of the infallible Magisterium demands those things that are necessary in order to direct the faithful without error to salvation through the correct worship [=veneration] and imitation of the examples of Christian virtues. But for such a purpose infallibility concerning decrees on the Canonization of Saints is necessary. It is important to distinguish here the process of canonization that is used to ascertain and test whether a particular candidate is indeed a saint, from the actual declaration of canonization itself. What is infallible is the declaration, not the process. The process is merely a human tool used by the Pope and the Church to help bring clarity to a matter to be defined. But just as with dogmatic ex cathedra definitions, so too in canonizations it is not the process that enjoys infallibility but the declaration. Therefore, those have no leg to stand on who try to get around the infallibility of canonizations on the grounds that “they changed the process.” It simply doesn’t matter. As of late, some have attempted to argue that canonizations are infallible only if the Pope believes that they are. 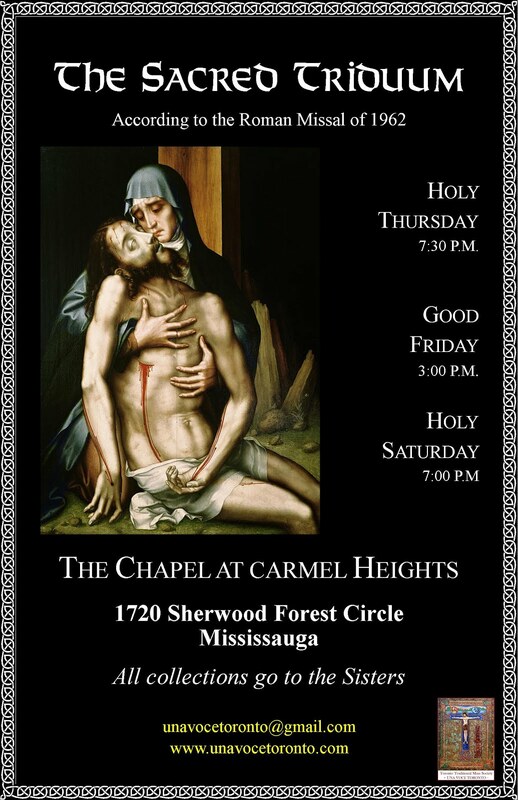 Just in time for the disastrous Mother Teresa “canonization”, SSPX Superior Bp. Bernard Fellay recently made the stunning claim that a “cardinal” in the Vatican had told him that “Pope” Francis had stated privately that he did not believe his canonizations to be infallible. Like clockwork, the neo-traditionalist Remnant picked this up and, using an obscure assertion found in the Catholic Encyclopedia allegedly based on the theologian Christian Pesch, reasoned that this was their desperately-needed “way out” of the problematic “canonizations” of John Paul II, John XXIII, and now Mother Teresa by the same “Pope” Francis. Perfect timing, huh? Unfortunately, however, there are a few problems with this: (1) It makes no sense; (2) it conflicts with Catholic teaching; (3) Francis doesn’t believe a whole lot of things that he ought to believe; (4) The Remnant doesn’t care what Francis says or believes at other times, so why now? First, it makes no sense. It makes no sense to say that God protects the Church from the great evil of bogus canonizations only whenever the Pope who canonizes happens to secretly believe that a particular canonization is infallible — and the only way you would even know that is if you subscribe to The Remnant, or if Bp. Fellay happens to tell you that he talked to a “cardinal” who said Francis told him that. No, something doesn’t make sense here. Second, it conflicts with Catholic teaching. As we saw above, the Church is infallible whenever the Pope canonizes someone a saint. There is nothing in there about the infallibility being dependent on what the Pope himself may personally, secretly believe about this particular canonization on that particular day. True, The Remnant’s blogger Peter Crenshaw quoted the Catholic Encyclopedia, but let’s look at this a bit more. The quote from the Catholic Encyclopedia is as follows: “...all the arguments of theologians for papal infallibility in the canonization of saints are based on the fact that on such occasions the popes believe and assert that the decision which they publish is infallible (Pesch, Prael. Dogm., I, 552)” (s.v. “Beatification and Canonization”; italics added). Notice that although Pesch’s Praelectiones Dogmaticae is referenced, it is not actually quoted. As this work is very hard to obtain, we have not been able to verify the citation — and neither has The Remnant, incidentally. True to their reckless pseudo-theological method, they simply throw stuff out there for the world to consume, right or wrong. As long as it is helpful to their recognize-and-resist position, they do not seem to care whether what they are publishing is actually consonant with sound Catholic doctrine or not. It is agenda-driven propaganda, not Catholic theology. Of course, for an issue of such importance, you would think that they would decide to do a bit more than just consult a single source, especially if that source is the Catholic Encyclopedia to boot. It’s not wrong to use the Catholic Encyclopedia, of course, but it should never be used as the sole source for any issue of great importance, because it is simply not sufficient and not sufficiently reliable. In any case, Crenshaw’s interpretation of the quoted words “on such occasions the popes believe and assert” is by no means the only possible one. He is clearly assuming that if one of the two conditions — believe or assert — is lacking, then the canonization in question is not infallible. But this is only an assumption. Without being able to check the Pesch reference, it seems obvious, however, that the correct meaning is that it is precisely by pronouncing the papal declaration — the formula for canonization — that the Pope is asserting his belief in the infallibility of the canonization on that very occasion. After all, he invokes the authority of our Lord, of the Blessed Apostles Peter and Paul, and his very own to establish a law for the entire Church, for “the honor of the Blessed Trinity, the exaltation of the Catholic faith and the increase of the Christian life”, and he is doing it specifically and only “on such occasions”. Does anyone really think that this can be neutralized by some bishop who talked to a cardinal who talked to the Pope privately who supposedly told him he doesn’t believe it’s infallible? What is this — the beta version of Gnosticism? Third, we know that Francis doesn’t believe a number of things he has an obligation to believe if he claims to be a Catholic. In fact, he probably doesn’t believe ex cathedra definitions are infallible, either — and the fact that he has opened papal infallibility up for discussion again at Hans Kung’s request suggests as much. This Crenshaw himself brings up in his post. So, really, all this is even more evidence against the position of the Remnant, not for it. Fourth, The Remnant doesn’t give a hoot about what Francis believes, says, or teaches at any other time, so why all of a sudden is it significant in this case? The answer it simple: Because it “floats their boat”. It works for them. It helps their position (or so they think). And this is exactly how recognize-and-resist theology works: You start with the desired conclusion and then try to find evidence to support it. Whatever support can be found is considered acceptable evidence; whatever contradicts it has to be dismissed. This is the exact opposite of the positive-scholastic Catholic theological method, where you start with theological data and principles and then reason to their necessary or possible conclusions. We have seen that the bogus canonization of Mother Teresa exposes Francis as the charlatan that he is. The Catholic doctrine of the Papacy has consequences, and one of them is that a true Pope cannot proclaim someone like Mother Teresa of Calcutta to be a saint. Alas, we fear that this too will not matter to the pundits in the recognize-and-resist camp, for they have long determined that saying someone is Pope has no consequences, at least not whenever these consequences would refute their position. No doubt, “Saint” Mother Teresa is one of those “lying wonders” that the Vatican II Sect has been offering to its adherents. Blinded by her intense humanitarianism, people overlook or consider as unimportant the false gospel of indifferentism she preached and the public acts of apostasy she committed. “Satan himself transformeth himself into an angel of light”, St. Paul cautioned us (2 Cor 11:14). Likewise, our Blessed Lord warned: “For there shall arise false Christs and false prophets, and shall shew great signs and wonders, insomuch as to deceive (if possible) even the elect” (Mt 24:24). We must abandon the silly idea that the Antichrist and his forerunners will appear as evil people. No, they will not. If they did, no one would be deceived! The Antichrist himself, when he comes, will on the outside appear to be a wonderful man, one of great virtue and charity. He will seem kind and gentle, and he will ostensibly oppose abortion. And because practically the whole world by then (as even now, for the most part) will think that the Gospel is nothing but being pro-Life and running a soup kitchen, they will not notice or care that the true Gospel is being not just denied butattacked by him: “And every spirit that dissolveth Jesus, is not of God: and this is Antichrist, of whom you have heard that he cometh, and he is now already in the world” (1 Jn 4:3). Just from this description alone, we can see that Francis himself is definitely a forerunner of the Antichrist, for he most certainly dissolves the true Gospel, as we have shown on this blog again and again. In fact, as one astute (but non-sedevacantist!) 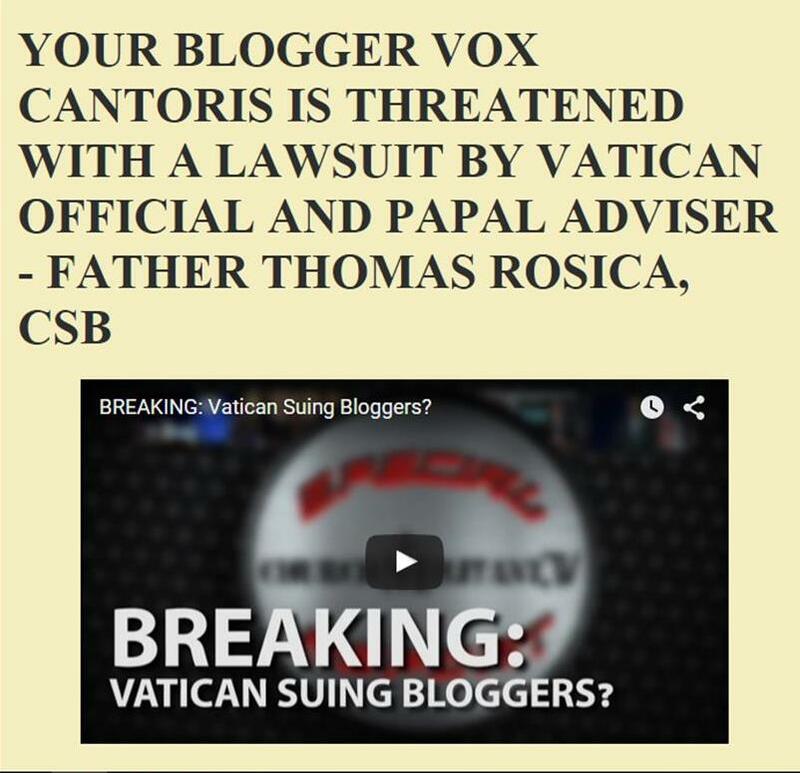 blogger remarked: “If Pope Francis is not the Antichrist, he’ll do until one comes along”. Indeed. Alas, we live in a world in which every silly purported “Eucharistic miracle” in the Novus Ordo makes people go nuts and question the sedevacantist position. Did our dear Lord not warn of precisely this when He said: “Then if any man shall say to you: Lo here is Christ, or there, do not believe him” (Mt 24:23)? What did people think those false “signs and wonders” would consist of? The face of Rush Limbaugh on a piece of toast? Antichrist, when he comes, will have it very easy. He will be able to spout one blasphemy and heresy after another — as long as he kisses babies and caresses people in wheelchairs, the world will love him. And The Remnant and Bishop Fellay will “recognize and resist”. It really is pathetic. Wake up, people. See what God is showing you; listen to what He is telling you. Here is yet another proof that the Vatican II Sect is a fraud, that Francis is a charlatan. “He that hath ears to hear, let him hear” (Mt 11:15). What more proof will you demand of God? Do not be deceived — if you reject the graces He sends by disregarding what is clearly sufficient proof of the truth, do not assume that God will just continue to send more and greater graces indefinitely, until you finally condescend to accept them. As Abraham said to Dives in the parable of Dives and Lazarus: “If they hear not Moses and the prophets, neither will they believe, if one rise again from the dead” (Lk 16:31). 1. "Francis is a valid pope. He was elected according to the Law with what we can know... "
Delete the word "valid" and we are agreed. Francis was legally designated and elected in terms of canon law. Yes! We are agreed on that. Francis is materially, legally pope. Election is a process and it was conduced legally according to canon law. If Francis was a heretic before his election, the election is void (worthless), but still legal. 2. We are agreed Francis is a heretic. Heresy incurs automatic excommunication in terms of Divine law. We are agreed on that, I feel confident. 3. We are probably agreed that a heretic cannot BECOME pope, because canon law stipulates that a non-Catholic cannot be elected as Pope. A candidate must be male, of the age of reason and be Catholic i.e. baptized and profess the Faith in its entirety. He who is not a Member, cannot become Head. 4. What if a Pope becomes a heretic after his election? Well, Vatican I and St. Bellarmine affirm that this has never happened in the history of the Church. Bad popes - yes; Judas Popes - yes; Popes in our history who preached heresy to the universal church - no. The dogmas of Indefectibility and Infallibility of the Church strongly discount the possibility of a true Pope being able to teach heresy to the Church. His false doctrine would lead countless souls astray ( as is happening), which is the contrary of the prime function of the Church - the salvation of souls. If you think about it, an heretical true Pope teaching heresy, makes nonsense of those dogmas. The teaching of the Church could change with the seasons. Every new Pope could lead the Church according to his whim and we would have 40,000 types of Catholics, just as we have 40,000 types of protestants. 5. Just for argument sake, let's say a true Pope became a heretic. What then? So here is our bone laid bare. I say he would immediately lose office. I cite Vatican I, the Saints quoted above and a bunch of theologians on that point. I say he would remain materially pope until deposed by the proper authorities, but would immediately lose office and form (authority.) You say he would maintain office and form and should be resisted when necessary until the proper authorities depose him. Rather I think that is what you say. :) Trouble is, now we need a bishop Fellay to tells us when the Pope is being orthodox and when he is not. A sub-pope, or even a bunch of self-appointed sub-popes, to monitor the Pope. "A Pope cannot formally declare in an infallible proclamation, an error in faith or morals." The Solemn Magisterium. We are agreed. "He can go right up to that in exhortations and actions." No, he can't. The ordinary magisterium is also infallible. Vatican I actually strictly limited his power ..." No, it did not in any way at all. Heresy can result from actions as easily as from words spoken, or written. The ordinary magisterium is just as infallible as the solemn. The definition of the solemn in no way impacts on the ordinary universal magisterium. This misunderstanding has been promoted by Ferrara. 22. The obligation by which Catholic teachers and authors are strictly bound is confined to those things only which are proposed to universal belief as dogmas of faith by the infallible judgment of the Church. — CONDEMNED PROPOSITION. Encyclical Quanta Cura and Syllabus of Errors (1864), DZ 1699, 1722. “Tuas libenter,” Dec. 21, 1863.
extraordinary Magisterium. “…But he who dissents even in one point from divinely revealed truth absolutely rejects all faith, since he thereby refuses to honor God as the supreme truth and the formal motive of faith.”To reject “one point” of divinely revealed truth, which is, as Vatican 1 says, all teachings universal and ordinary and extraordinary magisterial teachings, is to reject “all faith.” In other words, to reject one point of doctrine is to literally become apostate. (b) UNIVERSAL ORDINARY MAGISTERIUM (teaching of the bishops together with the pope, either in council, or spread throughout the world. 3. Teachings held by theologians to belong to the faith. 4. Doctrinal decisions of the Vatican congregations. Acceptance of the above is not optional, or a matter of opinion, they (teachings of Vatican I and Pius IV) define the object of faith and belief therein is obligatory. Further, they are de fide definita – infallible, unchangeable, solemn pronouncements. We tend to reduce everything to a question of infallibility, which, although related, is really not the issue at all. Even long before the definition of papal infallibility in 1870, the Church required submission to the Pope under pain of mortal sin and schism because of his God given teaching authority. Infallibility and authority are not the same thing — as though nothing were authoritative unless it were also infallible, or as though anything were authoritative only to the extent that it is infallible. Such an idea assumes as true the misconception, very widespread today, that the Church’s or the Pope’s authority derives from their inability to be wrong, but this is not the case. Rather, the Church and the Pope are authoritative because they are the divinely-appointed teacher, infallible or not. Thus, the Pope has the right and the power to bind his subjects’ consciences, not because he is infallible, but because he is the Vicar of Christ. This is something continually ignored and denied by the SSPX and the various resistance traditionalists. The Holy Faith goes beyond our natural reason but can never conflict with objective reason. It is objective reason that is applied, and a person of reason has the the theoretical capacity to apply objective, right reason. It is destructive of objective truth to assert as many are doing (perhaps from a well-meaning motivation,but objectively in error) that a Catholic who knows the Faith and God's moral law cannot acknowledge the objective existence of public, pertinacious heresy. Surely, we could not have been (properly) admitted to First Holy Communion, certainly Confirmation, without knowing the Faith, and by inference what is heretical? You should set up a website where you can write articles, Dr Lamb. God bless you. Mr Lamb, here is a question I had not considered before. When it comes to canonizations, it does seem the language used points to infaillabilty. More importantly however, do we need to fully assent to canonizations for salvation? Are they de fide? I would say off the top of my head that canonizations are infaillable (when a true Pope decrees), but are not de fide. They are not part of the deposit of Faith. Vox, I request your indulgence, could you please post my question which I know is totally off-topic. "Does anyone know what has happened to the Angelqueen website?" it has been down for some time now. I ask this because I used to visit there regularly for good comments on current events in the Church, and links to important information. It's not me. When I first was considering sedevacantism, I read virtually night and day for 18 months. I collected quotes etc. for my own reference and information. I have over 2000 items, but sadly never catalogued them properly, because they were intended for my own use only. I never dreamed I would one day be blogging. I regurgitate what others have taught me. It is not my own work. To reject “one point” of divinely revealed truth, which is, as Vatican 1 says, ALL TEACHINGS UNIVERSAL AND ORDINARYall and extraordinary magisterial teachings, is to reject “all faith.” In other words, to reject one point of doctrine is to literally become apostate. Vatican I (Dz 1792), Pope Pius IX (in Tuas Libenter, 1863 and also in the Syllabus of Errors, 22), have unambiguously specified that Catholics must believe and adhere to, by Divine and Catholic faith those things: ... 3. Teachings held by theologians TO BELONG TO THE FAITH.... 5. Theological truths and conclusions SO CERTAIN that opposition to them merits some theological censure short of “heresy.”... Acceptance of the above is not optional, or a matter of opinion, they (teachings of Vatican I and Pius IV) define the object of faith and belief therein is obligatory. Further, they are de fide definita – infallible, unchangeable, solemn pronouncements. the Pope has the right and the power to bind his subjects’ consciences, not because he is infallible, but because he is the Vicar of Christ. The formal declaration of canonization by the Pontiff and the formula used, I would say, definitely make the canonization part of our Faith and that it must, in terms of VI, Pius IX and Syllabus, therefore be considered de fide. Dear Tom, See what Introibo says, but best of all, ask Bishop Sanborn. I joined an Eastern Catholic Rite back in the 70's when our local RC parish became a theater of the absurd in giving honor and glory to God. About twenty years had passed and we realized three of our five pastors were seriously "disordered". One of our exceptionally straight and learned pastors went to the Orthodox. He said the Orthodox canonized based on the testimonials of the local parish priests and church community the person lived and worshiped in and that was the way t was done in the Early Church. Read " Merchants in the Temple" To find out just how corrupt the canonization process has become. It is a gold mine for the Cardinals and their Dicastery friends. My interest in the Process was peaked after an older friend told me what her Uncle related who was a Monisgnore on the Commission for the Cause of little Maria Goretti. She said he complained that they all knew the child had been sexually abused for a long time , but the Cardinals agreed they would make her a role model for preservation of virginal purity because of the changing cultural norms. ( We already have Our Lady). St Maria Goretti is in reality the little Saint for sexually abused victims . whose own priest Secretary is known in Vatican City as "Jessica". With no Devil's Advocate and the refusal of countless testimonials challenging Escriva's sanctity , Opus Dei ,in effect, had their organization canonized. The Legion was planning the same for Maciel but thanks to the Internet and other new forms of tech social media , the truth was made known. Pope with a rainbow cross? All the tradittional Catholic iconography has long been replaced with more and more overt evil and diabolic symbolism. The "stang" was tantamount to having Satan's classic depiction on the staff - no "confusion", clear as daylight evil against Faith and morals in everything he and the administrative giant of the Holy See have been doing and refusing to do for the past five years and seven months. The inherently dishonest nuancing so beloved of the heretics is no longer necessary as they've corrupted the masses in Faith and morals, reeducated them in the new non serviam false religion. Have you read Paul VI's "Credo of the People of God?" It reads as though Francis himself wrote it.